Hold your next event in our UPGRADED Academy Conference & Banqueting Center with 11 state-of-art Meeting Rooms, varying in capacity from 2 to 300 delegates, with natural daylight, no visual obstructions, next generation technology and high speed Wi-Fi . Take advantage of the hotel’s tailor-made packages and our full service planning assistance to ensure all your requirements are attended to with no extra costs! 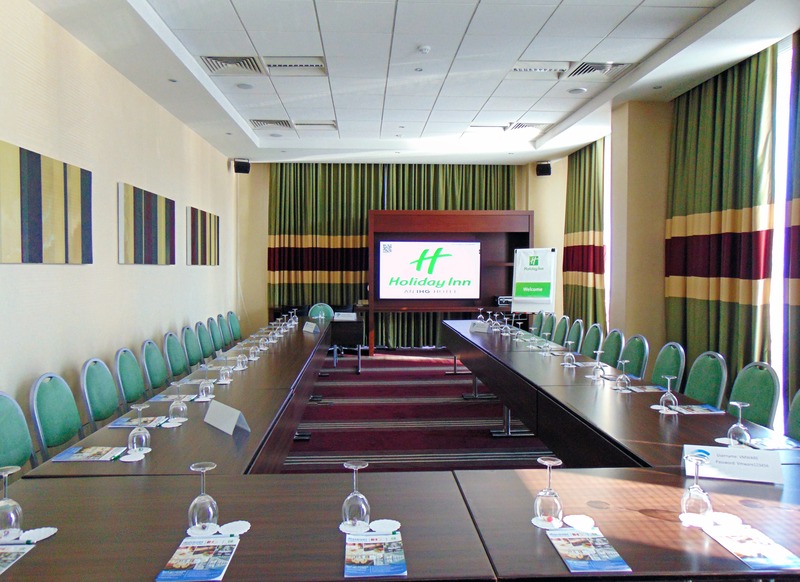 Our packages are inclusive of SMART Meeting Room Hire, Coffee Breaks, Lunch, Mineral Water, Internet, Parking, 75’’ ultra HD Multimedia Display, LCD Projector, Screen, High Quality Wireless Sound System, Flip Chart, Stationery and Meeting Survival Kit – everything you need for a successful meeting. We do our best in adjusting the conference and meeting packages to meet all kinds of needs. Promotion is valid for events held from 15.04.2019 until 12.05.2019!